The range of added-value confectionery that can be made using the depositing process is increasing with the introduction of new mould technology for Baker Perkins’ ServoForm™ depositors. 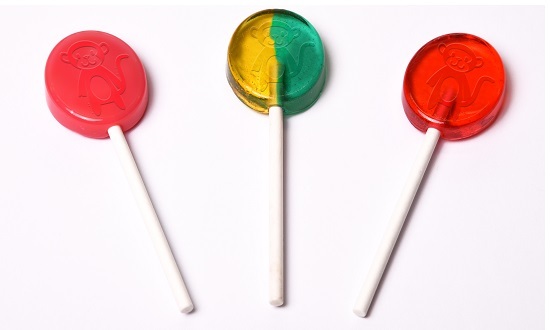 Flat lollipops are ideal carriers of character merchandising linked to television, films and video games, with depositing providing a very clear image on high-quality candy. The premium positioning of these products is reinforced by mould technology that deposits the syrup around an accurately positioned, pre-inserted stick. Double ball mould technology brings a new dimension to creative product development in the lollipop sector. 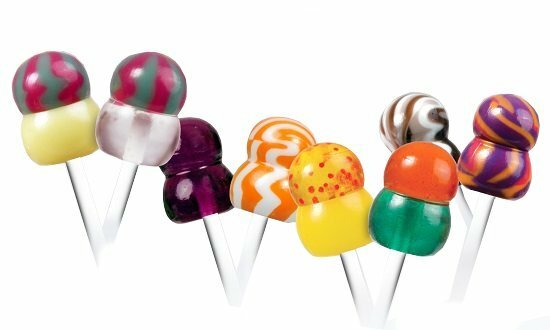 Double ball lollipops are visually attractive alternatives to conventional ball or flat lollipops, but with a shape that fits the mouth more easily; they have a unique consumer appeal that is further enhanced by the range of colour and flavour combinations available. Mould technology is also at the heart of a process that brings the highest levels of output, efficiency and quality to the production of 3D jellies and gums. This is a rapidly expanding sector driven by products with high levels of fruit addition. Product shapes are often fruit-based and the 3D moulds allow very accurate representations of the fruit in question. Depositing is increasingly meeting a growing demand for fortified functional and medicated hard candy carrying over-the-counter medications or dietary supplements. The functional sector ranges from boosting the intake of essential nutrients such as vitamins, minerals, fibre and protein to adding beneficial supplements such as folic acid and Omega-3 to the diet. Medicated products include ingredients such as antiseptics, menthol and eucalyptus oil to alleviate the symptoms of minor ailments such as coughs, colds, sore throats and nasal congestion. High accuracy dosing and maximum effectiveness of the active ingredients make depositing uniquely suitable for medicated and functional products. Additionally, glossy finish, consistent size and smooth mouth feel are in keeping with the high quality consumers expect of healthcare products. Depositing is the process of choice for confectioners wanting to develop original, high-quality candies. Depositing offers greater quality and production flexibility, with lower production costs than traditional methods such as die forming, starch mogul or cut-and-wrap. Superior appearance, high clarity and rapid flavour release with a smooth 'mouth feel' are key quality advantages. The nature of the depositing process creates complete control throughout the system, leading to extremely high dimensional, shape and weight accuracy. Depositing also provides negligible scrap rates and efficient wrapping, plus maximum hygiene with low maintenance. 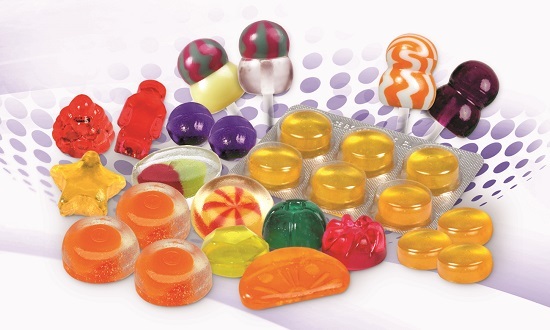 Hard candy and lollipops, jellies, gums and fruit snacks, toffee and caramel, plus fondant and fudge are capable of being deposited, and all benefit from the high-quality appearance, smooth texture and accurate piece weight that depositing offers. 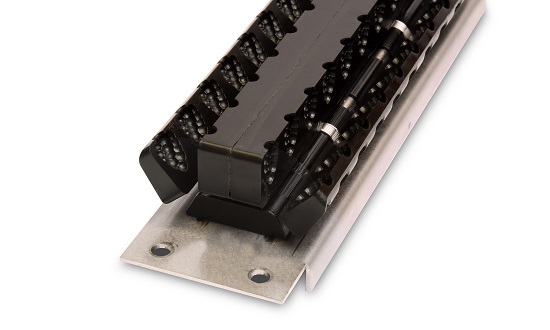 If required, systems may be supplied with multiple mould sets and a flexible cooling system to widen the product range possible with a single depositor. Because of the importance of speed-to-market, the process of developing a new product ready for manufacture has been compressed. New designs can be visualised and models made very quickly using 3D CAD and 3D printing, which is also used to make test moulds for trials.